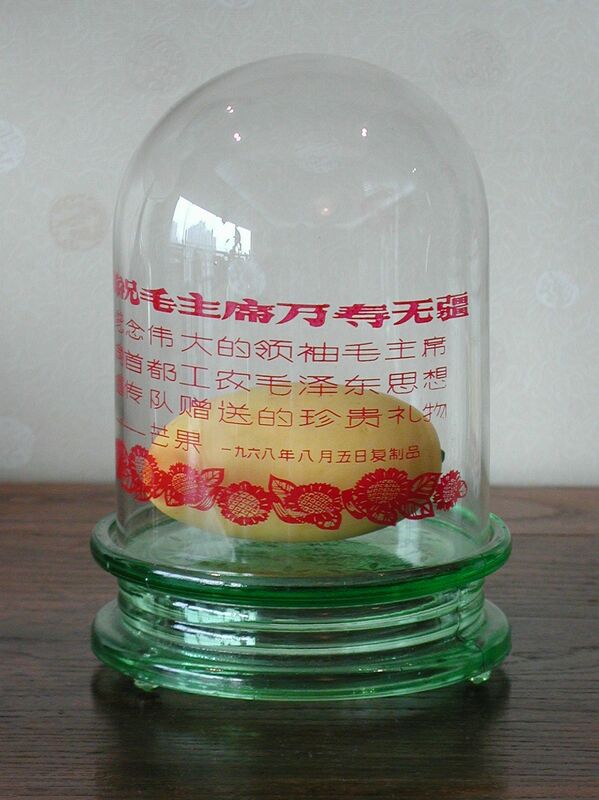 This is perhaps one of the strangest objects to come out of the Cultural Revolution in China. 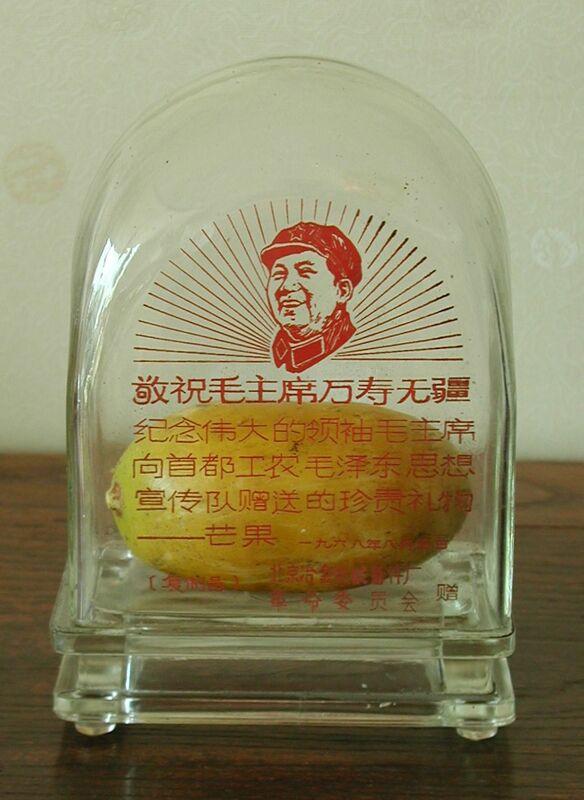 In August 1968 Chairman Mao was presented with Mangos, which he then redistributed to various teams in Beijing. 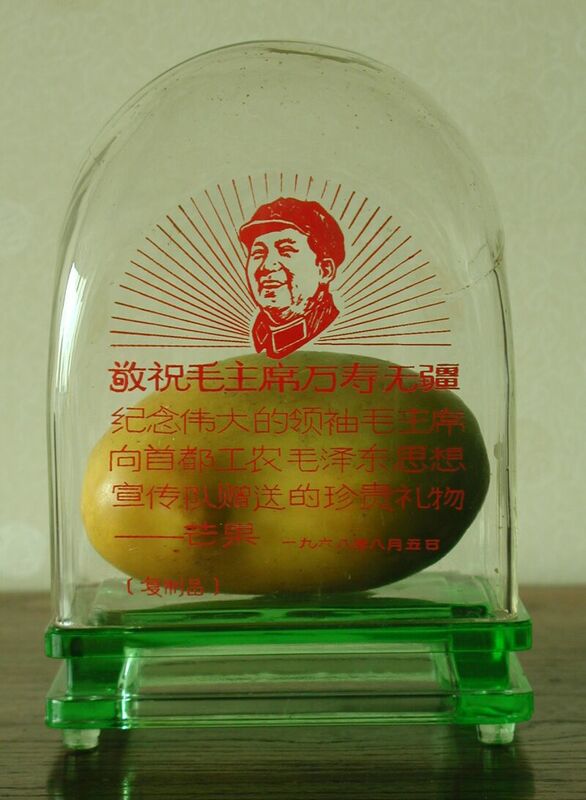 Rather than consume these sacred mangos, they were preserved. 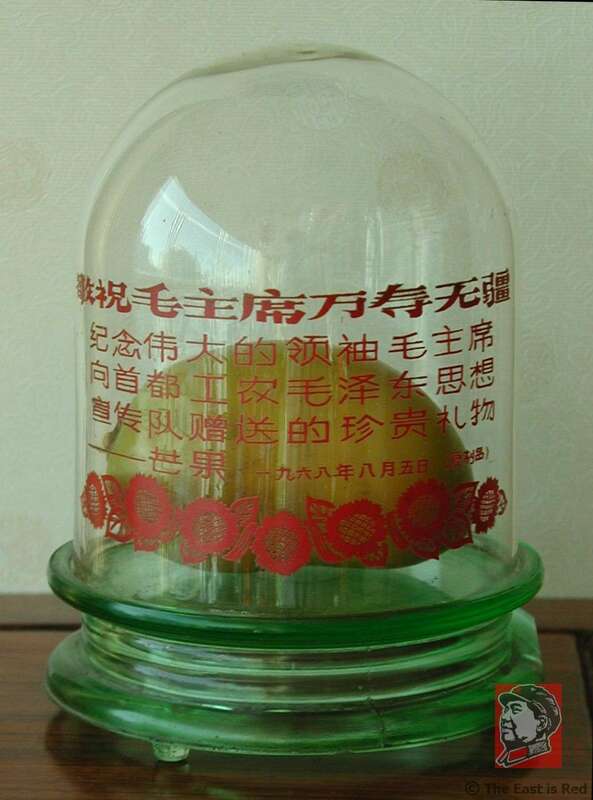 And since the actual mangos could not be preserved indefinitely, wax mangos were made and placed under glass as one way to remember this wonderful gift from Chairman Mao. 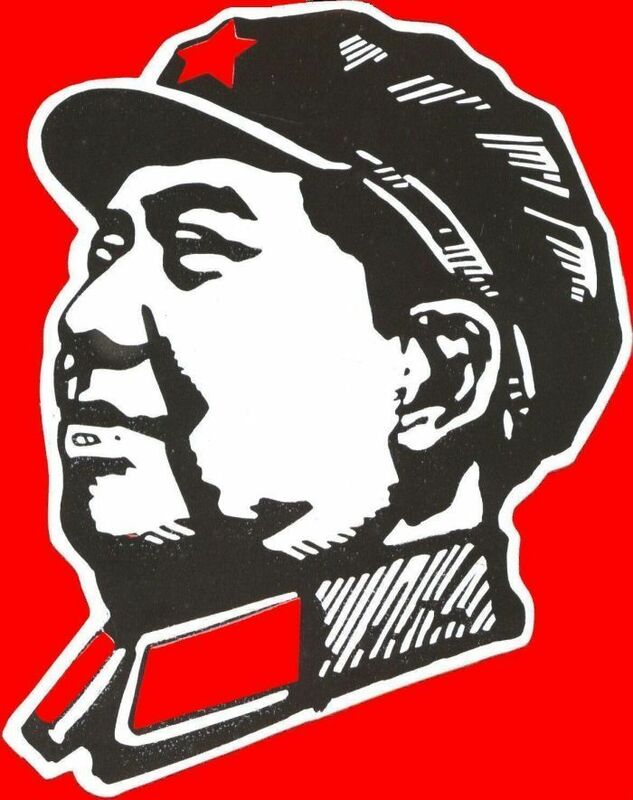 Mangos also showed up on pins along with Chairman Mao, on propaganda posters, and on signs to name a few. This is quite an unusual mirror in the fact it is made from plastic rather than steel. 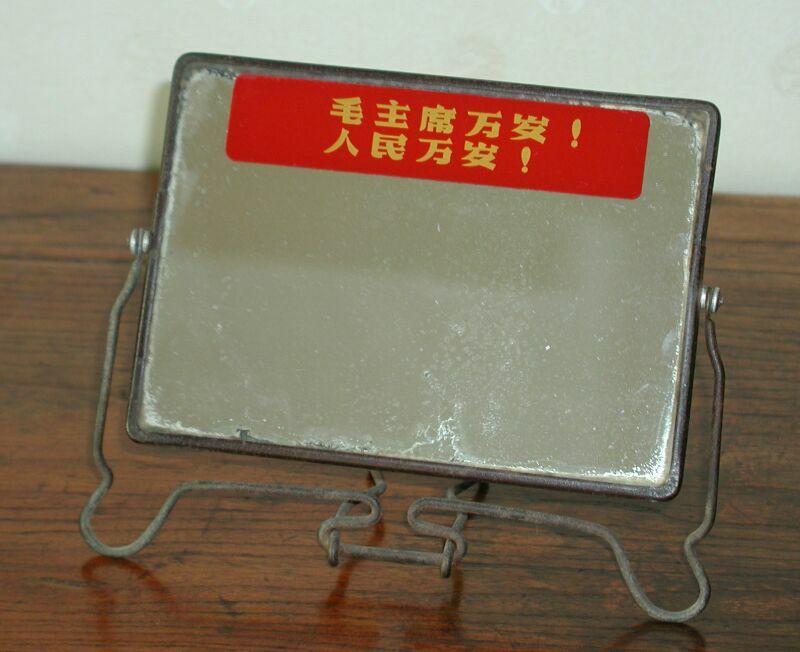 It is small enough to be used as a traveling mirror or kept in an office desk. 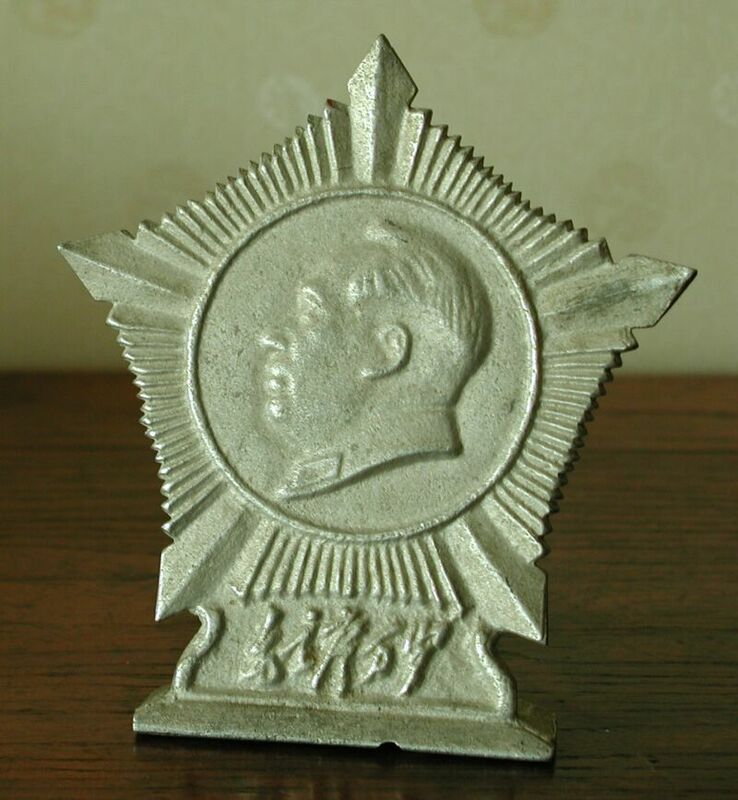 The reverse side has a very colorful quote from Chairman Mao. 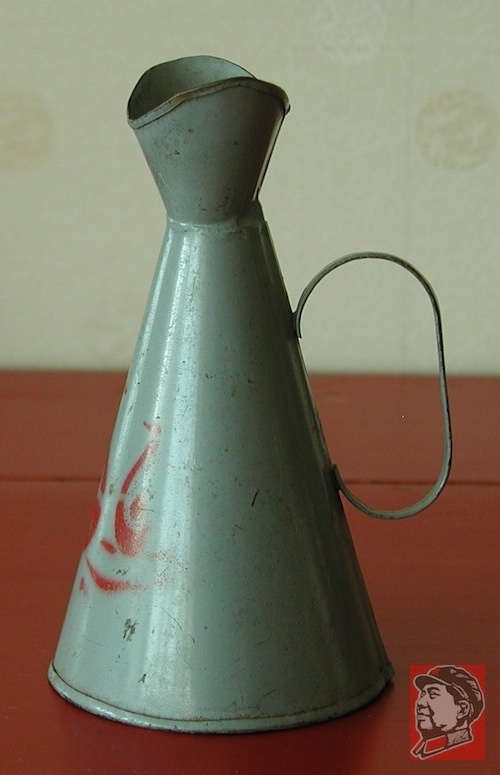 This miniature megaphone for a child is a rare find. It is in nearly perfect condition and shows a pair of swans with only minor wear marks. 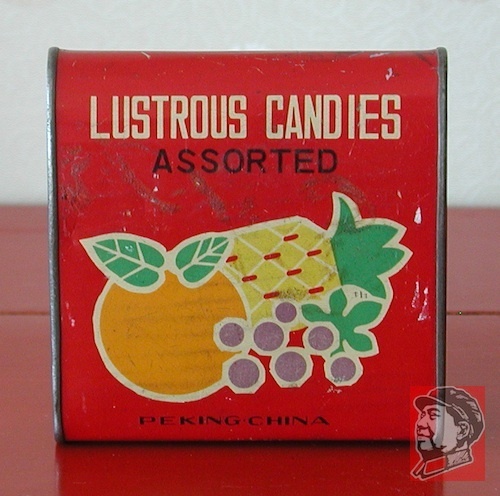 This is a fine example of what was produced following the end of the Cultural Revolution, in this case a very nice rounded top tin of candies for children. This is a fine example how small amounts of tea were stored for use at work or on a short trip. 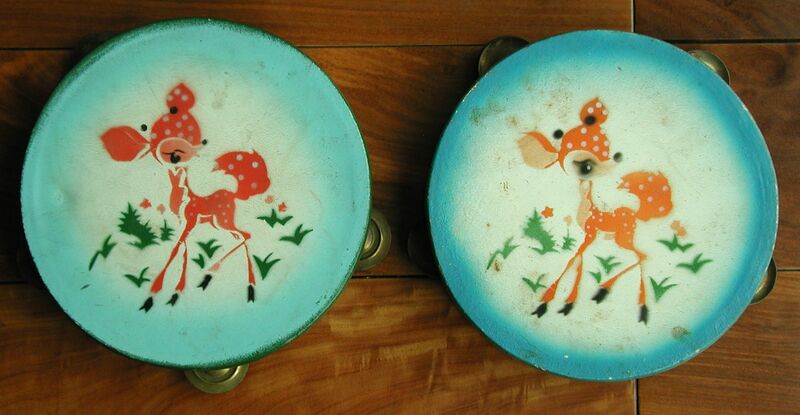 This tin has remained in very good condition despite its age and use. The paint remains nearly completely intact with very few scratches. 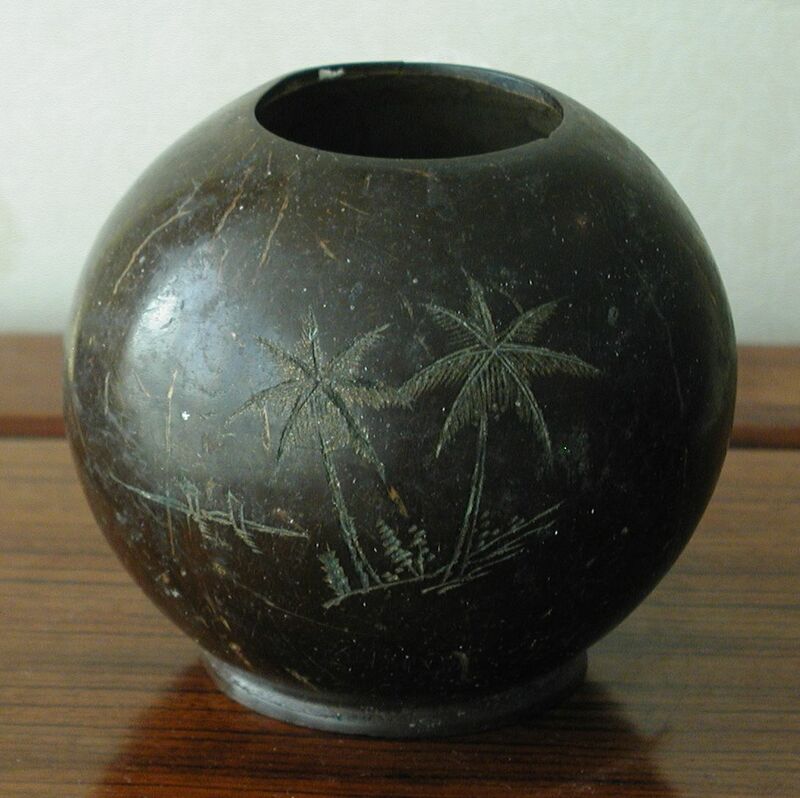 This certainly must be one of the oddest items to be produced during the Cultural Revolution - a coconut shell that has a quotation from Chairman Mao and palm trees carved onto the surface. This is a fantastically unusual bowl and case carried by soldiers of the People's Liberation Army (PLA) while out in the field. 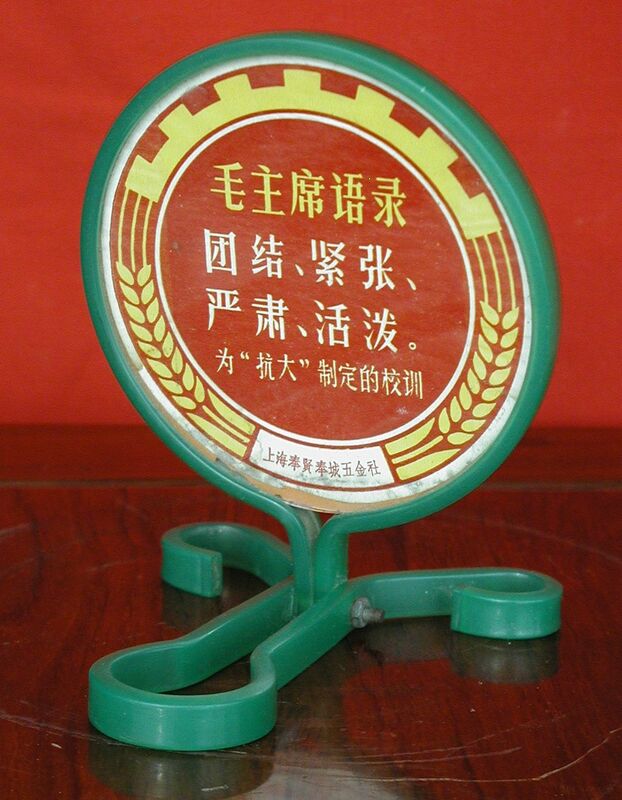 This children's toy is typical of the items produced at the end of the Cultural Revolution and immediately thereafter.